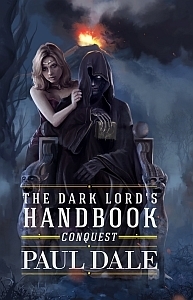 To mark the publication of the trade paperback for The Dark Lord’s Handbook: Conquest, I will be giving away two copies of the book through Goodreads. Head over there for a chance to win one of the two copies. Open worldwide. Giveaway ends December 05, 2014. I plan to buck the modern trend and write a three book trilogy.